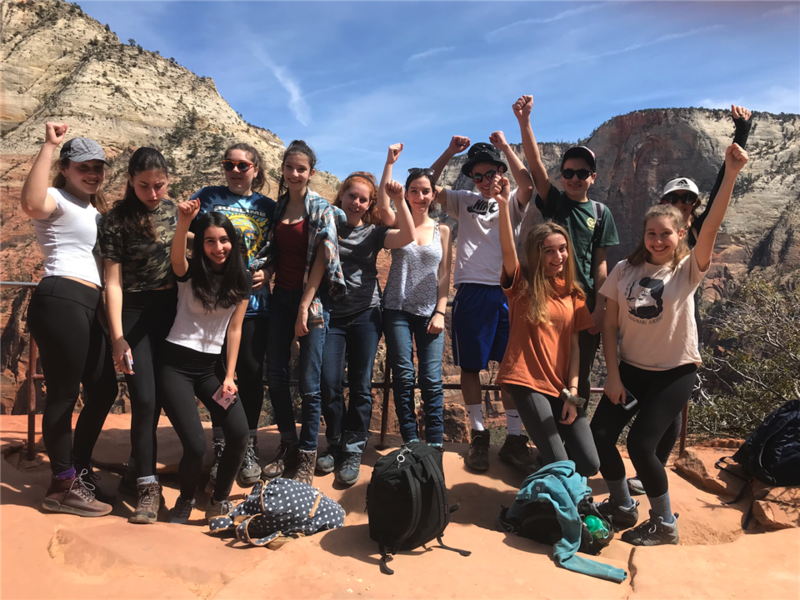 On Monday, we all went on different activities such as hiking, rock climbing, and canyoneering and all had an amazing time. 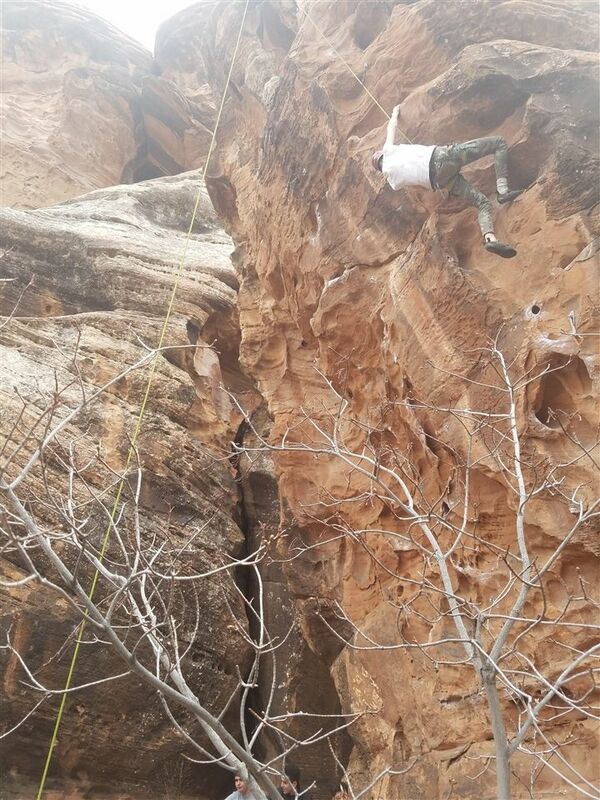 For me, going rock climbing was very fun because we had time to not only rock climb, but to also sit with our friends and take in the beautiful mountains around us. We were separated into boys and girls depending on which activity you were doing for the day, and which group you are in. I was with the girls which was especially fun because we had time to bond and take pictures. When I got to the top of the rock I had climbed, the view was incredible. I saw snowy mountains and got a view of most of the national park. 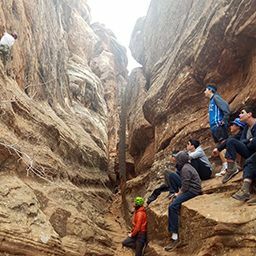 While rock climbing was challenging or daunting to some people, all the girls in the group climbed at least one rock and came back down with a sense of accomplishment. At the end of the day, we all had a student lead game night followed by going back into our hotel rooms for the night. The weather has been perfect while we’ve been here. It’s not too hot and not too cold and no matter where you look, you see the beautiful tall mountains of the park. Many of us enjoyed going around the town during our free time. There are many stores conveniently right across the street from us with many other places down the road. There are ice cream shops, candy stores, a small grocery store, along with many other places. Tuesday, the three groups did one of the three activities we do each day at the park. The weather was breezy and comfortable and we were surrounded by gigantic mountains. The hike was very steep and one we reached the final destination, most of us were exhausted but all loved looking at the view around us. We had an option to do an extended part of the hike where we keep on going for 45 more minutes. When I heard about this extended option before the journey, I planned on just going to limit and not doing the extended part. But I decided I wanted to push myself and go on the extended hike with what ended up being a lot of other people in our hiking group. When we reached the destination for the extended hike, we were on a cliff that overlooked mountains with patches of snow along with a small, but beautiful, waterfall. That was my favorite view from the whole hike even though everything I saw was amazing. Many other people were happy they went on the extended part as well because it truly was an experience. Once we were done looking at the view, taking photos, and just catching our breath, we decided it was time to head back down after huge gusts of wind nearly pushed us over. 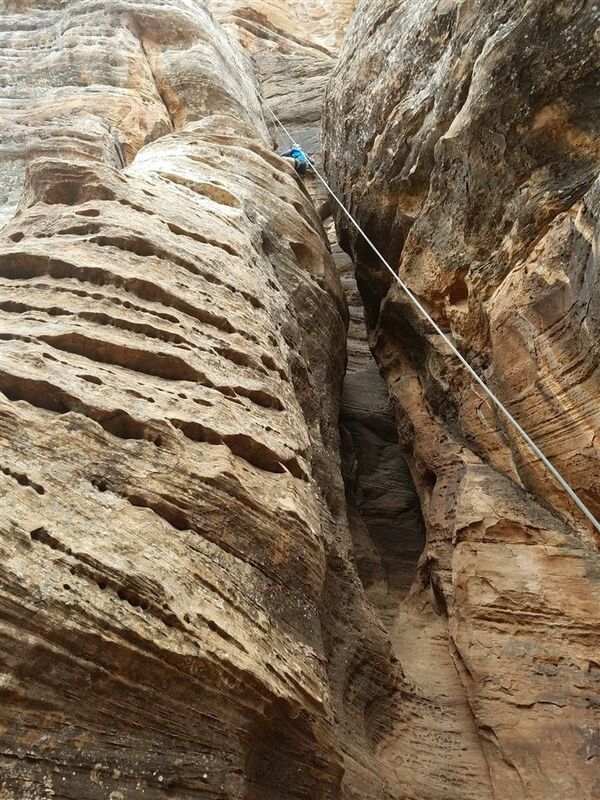 It took around 2 hours to get all the way back down. The way down was all downhill so it was much easier than going up, which was incredibly steep and took us around 4 hours. When everyone came back from their day, we had a few hours of free time to shower and walk around the town with friends. We then had dinner followed by a night hike which was a fun adventure. 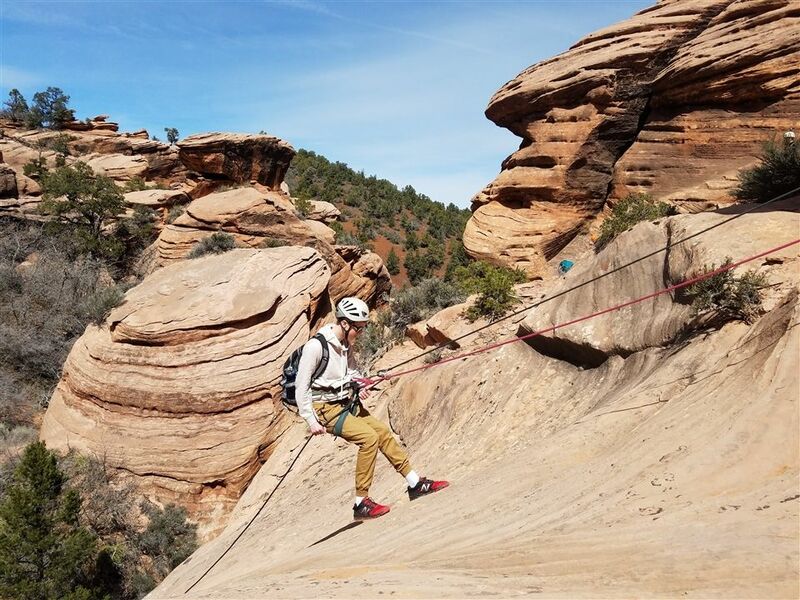 Today (Wednesday), I am going canyoneering, which is rappelling down mountains, which might be a challenge, but we are all ready to take it on!